I’m not sure if I can actually say it’s from the archives since Schoolhouse Patterns is only one year old. Nevertheless, I wanted to give you a little reminder that I have a free pattern for you to make a little something for your valentines, big and small. I wrote The Mini Tote pattern back when my company was still Pattern Patti. It’s now a free pattern which you can find here. You can find the applique files for the designs above here. 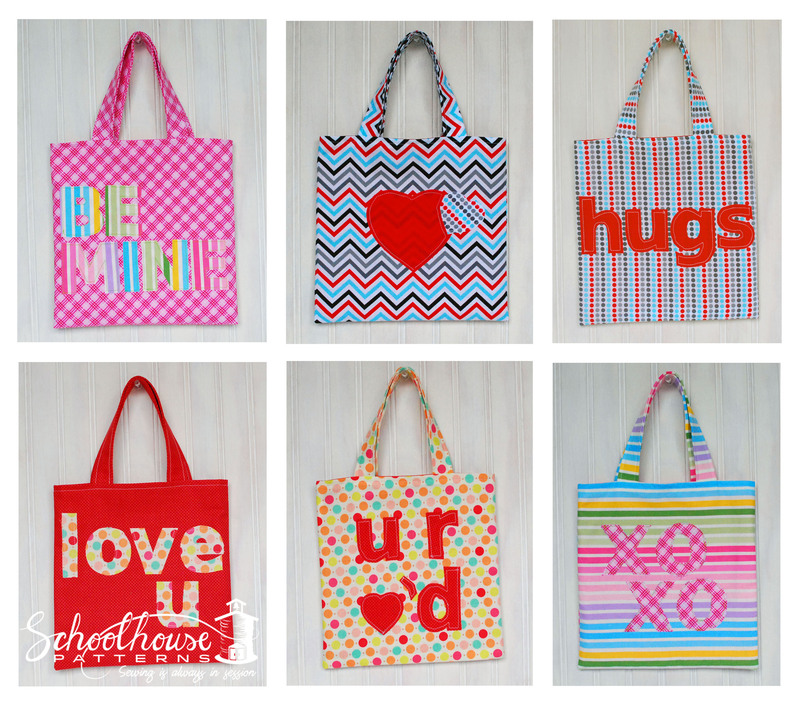 These totes would make great gifts for your little ones, teachers, and friends. Fill them with sweets and treats and make someone squeal.